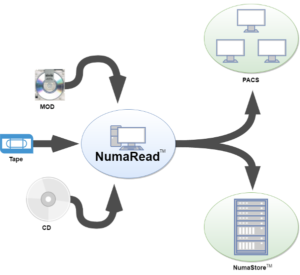 NumaRead migrates offline tape/MOD/CD image archives to online image management systems. Migrate offline tape/MOD/CD image archives to online image management systems. Select patient, study, series, entire media contents for migration. Automatic forwarding of images to DICOM-compliant workstations and PACS. Supports Nuclear Medicine, PET and other modalities. 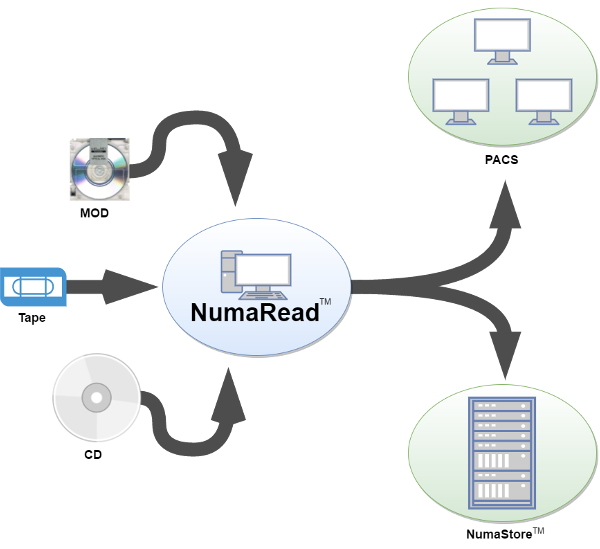 Works with NumaLink to translate non-DICOM images to DICOM.